Toptech Solutions Private Limited is doing IT Projects and Promotional Services for more than 18 years. We have more than 20 years experienced consultants to promote any type of projects or products or services. We have an offshore and in-house team for promoting products through, web media, print media, social media etc. 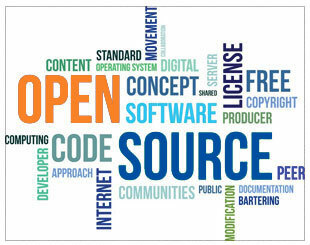 For web media, we are developing websites using Opensource Programming Tools to promote projects or products or services. Our Website Development Team can create the customized opensource website based on your requirements. We are using Wordpress, MIVA Cart, Magento Cart, Woocommerce for developing the website for selling products through online. We have developed a lot of websites for NGOs for promoting their activities. Our SEO team can optimize your website for listing in major search engines. Our more than 20 years experienced Content Management Team can create UNIQUE contents for listing your site in search engines very fast. Also, the SEO team and content writing team will prepare Unique Articles and Ads to place on Facebook and other social media marketing websites to attract more visitors to your website. The Creative Offshore Team will create customized logos, videos, animation, web and facebook page layout to promote the projects or products or services. Our consulting and the management team can support BRANDING your products. We will support to Trade Mark Registration and reach your products to the people with unique name and value. Our more than 20 years experienced Consulting and Mangement team can analyze your projects and prepare the implementation plan based on your Budget. Even, if you have no idea about to invest the money, we have a lot of projects to invest your money successfully. We have a separate website for promoting your new products. You can also sell your products through that site, www.toppyshoppy.com. The small or individual product manufacturer can list their products for promoting purpose or selling it. For promoting products or selling products through ToppyShoppy.com, please contact us through mobile: 9488422247 or send email to contact@toptechsolutions.com. We are ready to help you to promote your products and to sell it. 1 Year FREE Support - Rs. 15,000 only. Starts from Rs. 40,000 only.